Grubs are not uncommon in lawns around the Chicopee, Massachusetts area. However, there are ways that homeowners can deal with grubs before they cause any significant damage. First, you may want to check to see if your lawn may be at risk. If you see any damaged portions of your lawn, try cutting out a square of that area and looking underneath. 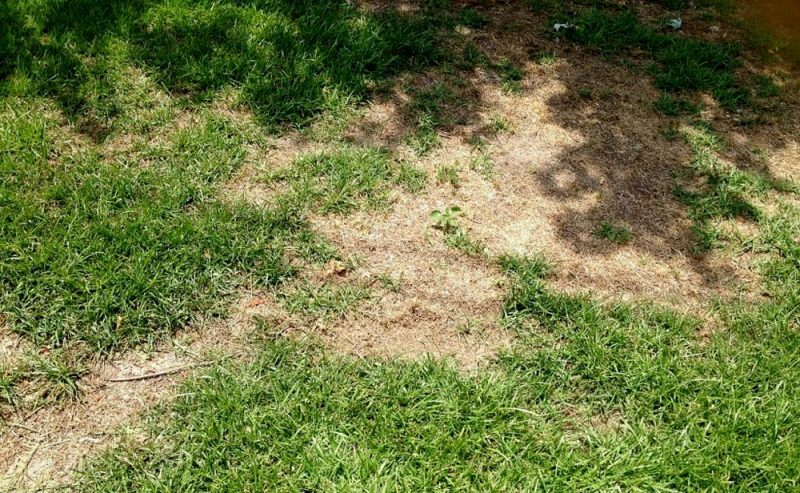 Grubs feed on grass roots, so lawns with patches of wilting and browning grass are likely experiencing grub damage. A rule of thumb is that about 10 or more grubs per square foot will lead to noticeable damage to your lawn. If you don’t want to cut into your lawn on your own, check to see if animals have already done that for you. Grubs are a part of the food supply for animals like raccoons, skunks and moles. If you are noticing evidence of animals digging into your lawn, it is highly likely that they are trying to feed on the grubs below the surface. Insect control products – it is best to use insect control products for grubs during the mid-to-late summer months. Using an insect control product at the wrong time can lead unintended problems such as killing off beneficial insects like ladybugs and bees. Fertilization – routine maintenance like fertilizing your lawn is a good way to prevent grubs and other invasive insects from taking over your lawn. The stronger and healthier your lawn is, the risk of it falling victim to grub damage lessens. Drought – dry weather can also be an ally when dealing with grubs. In the event of dry conditions, an option to consider is allowing the lawn to remain dry. Since adult beetles look for good soil moisture when laying their eggs in June, they will avoid a lawn that doesn’t offer this. 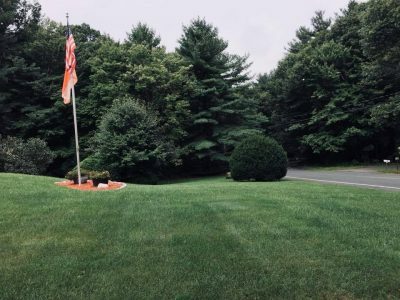 The downside with the approach is that your lawn may be brown and unhealthy looking during the early summer months. Want to learn more about grub proofing your lawn? Give us a call or fill out our free quote form here.